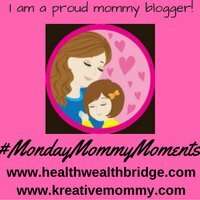 Why did we start the #MondayMommyMoments linky?It’s a long story and not interesting.What is interesting is that we could do it together for one whole year without fail .That makes this linky party one fun ride. We want moms to write regularly.You write regularly and your blog health improves, You write better ,your blog shines and you have grown as a writer. How does #MMM help in that? We give weekly prompts on trending topics, parenting topics, health topics anything that affects you and me as moms. Actually very little.You write a post on your blog like any other day.The post can be on our prompts or not .Even old posts are okay.But we would love it if you write on the prompt. When we write together on important topics we know we are not alone.Solution to problems become easier .It is also one way to crowdsourced books.We crowdsourced our first #MondayMommyMoments e-book on teaching children about money management.You can read it here. Why should you write with us? I think in life we all need a game worth playing.A goal worth having.Doing it with friends who are in the same boat just makes it easier. When I started blogging I thought I was the only woman in West Bengal who blogged.But now I know many women all over India who are fighting the battles I am fighting.Together we stand stronger and one-day our children will have a better world. To be eligible for the Supermom contests you must be following all rules.Read carefully as each will carry weight. Be a super mom and you can win Amazon gift vouchers every month. You must write each week. Share on 2 social media the supermom promo pic with links to our posts. Always tag hosts while sharing. Comment on both posts of hosts. Comment and share on atleast 2 other posts linked up. Tag at least 2 more mom bloggers(must ).More the merrier.Extra points if tagged friends link up. By entering this contest you give us(Amrita and Deepa) your permission to tag you on social media and email you regarding contest updates, results and more such in the future. At least 10 unique linkups are needed every week for Supermom contest to be viable so don’t forget to tag friends and inspire them to write!